Another year has gone by making way for a new one. Happy birthday dear son. Make the most of this new year of life and have a great one .Happy birthday my friend. Most beautiful thing about life is that there is always a chance to excel. Happy birthday my friend. Blow out the candles and party hard dear friend as this is your day. Happy birthday. Party hard today and prepare yourself for a new year of your Lifebook. Happy birthday dear. I would call the Santa on this day if I could as this is your birthday. Wishing you a very happy birthday. It’s your birthday so go crazy, have a blast and take all the happiness from this day to carry on whole year. Happy Birthday. Blow the candle with all might, we all pray that you always stay cool and bright. Happy birthday. 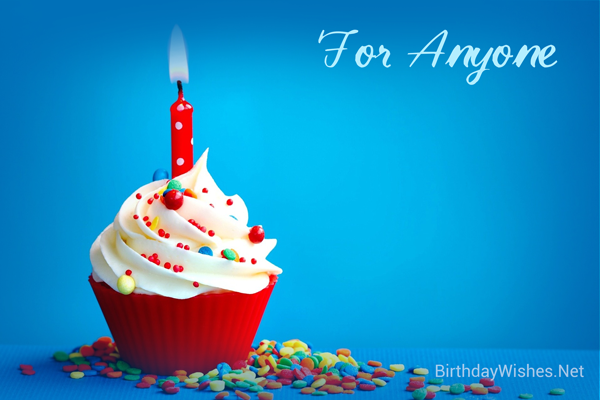 You have worked hard three hundred and sixty four days and now it’s time to make up for that ….happy birthday!! !Go crazy!! Today is the day when you throw away all the mishaps of the past and swear that you make new ones. Have a great birthday. You have supported me in every right and wrong decision of my life and now it’s time for me to return the favor by wishing you many happy returns of the day hoping that you’ll stay with me forever. I feel great proud in telling people about you being my brother and I look up to you. Love you dear brother and wish you the best of life and a very happy birthday. As time have gone by…I have realized that I’ll never be alone because you will always be there to make my life beautiful and fill it with happiness. Wishing you a great birthday with lots of health.